07/22/14: Do Nu Skin Inventory Red Flags Spell Trouble Ahead? 11/23/13: Did Tesla violate S.E.C. rules by failing to disclose the retirement of George Blankenship? 10/28/13: Is Overstock.com Trying to Cook The Books, Again? 10/03/13: Is Medifast a Cry Baby or a Corporate Bully? 09/30/13: Was Medifast transparent with investors about an S.E.C. investigation? 09/27/12: Green Mountain Coffee Roasters’ Growing Inventory Levels: Is It a Fumble or a Fraud? 07/24/12: Can Green Mountain Coffee Roasters Explain Those Missing Beans? 05/21/12: Are they really that stupid at Green Mountain Coffee Roasters? 05/03/12: Green Mountain Coffee Roasters: Is it toxic or is it phantom inventory? 05/01/12: Is Green Mountain Coffee's Inventory Approaching Toxic Levels? 04/24/12: Is Green Mountain Coffee's Inventory a Toxic Brew? 04/09/12: Green Mountain Coffee Roasters Disclosure Controls: Have They Really Improved? 03/05/12: Is Overstock.com in a Death Spiral? 01/24/12: Is Green Mountain Coffee's Management Team Milking Shareholders For Every Last Penny? 12/29/11: Overstock.com Facing Dismal Fourth Quarter Numbers? 12/14/11: Green Mountain Coffee Roasters: Where are the missing beans? 11/28/11: Did j2 Global Communications Fumble in Accounting? 11/22/11: Should j2 Global Communications Restate its 2010 Financial Reports? 10/31/11: Overstock.com (O.co): Insolvency Looming? 09/25/11: Were Groupon’s and Overstock’s Management and Auditors Stupid or Did They Condone Improper Accounting Practices? 08/10/11: Why did Green Mountain Coffee Roasters miss red flags? 07/19/11: Is Green Mountain Coffee Roasters serving double talk to the press? 06/17/11: Did Green Mountain Coffee Roasters Violate Its Code of Ethics, too? 06/13/11: Is Green Mountain Coffee Roasters Fudging Its Reserve Numbers? 05/23/11: Are the Feds Going Insane? 05/09/11: Is Green Mountain Coffee Roasters Shuffling the Beans to Beat Earnings Expectations? 05/04/11: Green Mountain Coffee Roasters: Do they know how to counts the beans? 04/12/11: Why is Overstock.com obstructing California District Attorney’s investigation into allegations of consumer fraud? 03/24/11: Is Michelle Stacy a shrewd insider, a psychic or just plain lucky? 02/28/11: Is Green Mountain Coffee Going to Get Roasted by its Exes? 12/02/10: Green Mountain Coffee Roasters, Time to Spill the Beans? 10/14/10: Does Overstock.com CEO Patrick Byrne Know When to Shut Up, Especially While the SEC Investigates his Company? 10/03/10: Will KPMG Ever Wake Up and Finally Learn Its Lesson after Being Duped into Completing Crazy Eddie’s Audits Too Early Twenty Three Years Ago? 06/20/10: Open Letter to the Securities and Exchange Commission Is Medifast Complying with Revenue Accounting Rules? 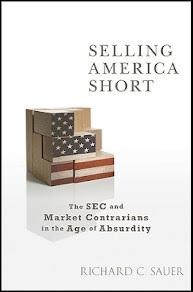 06/17/10: Open Letter to the Securities and Exchange Commission: Can a Convicted Felon Help You Find Financial Reporting Violations? 05/18/10: Can We Trust Bidz.com's Financial Reporting? 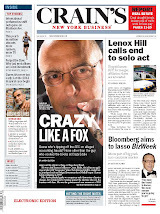 05/05/10: Is InterOil Another Tyco or Crazy Eddie? 05/05/10: Can Investors Rely on Overstock.com's Reported Q1 2010 Numbers? 04/29/10: Are InterOil's Auditors Capable of Finding Fraud in Plain Sight? 04/20/10: Should the SEC Investigate Medifast Like It's Investigating Pre-Paid Legal? 04/18/10: Did a Clever SEC Bait Goldman Sachs into Compounding Its Legal Problems With the "Kiss of Death" Message? 04/06/10: InterOil: Deal or No Deal? Does it Matter? 03/31/10: Did InterOil Commit Securities Fraud? 03/26/10: Is InterOil Built on a Foundation of Fraud? 03/25/10: Can Shia LaBeouf Help Shed Light on a Stock Market Manipulation Scheme Involving InterOil and John Thomas Financial? 02/21/10: First Jury Trial in Federal Corruption Probe Based on Informant Solomon Dwek Convicts Beldini: Are Some Defendants Living on Hope? 12/29/09: Is Overstock.com Shopping for an Audit Opinion? 11/13/09: SEC Busts SafeNet for Regulation G Violations. Will Overstock.com be Next? 11/04/09: What is Patrick M. Byrne Afraid Of? 07/11/09: To Bidz.com: Thank for the subpoena and the check, too! 05/15/09: Is Interoil Selling Investors Hope? 12/13/08: Is there really more white collar crime today? No. 12/08/08: Does Democratic Leadership Inaction on Rangel Render Promises of "Change" a "Bait and Switch" Tactic? 11/10/08: Overstock.com's New Disclosures Today Show Company Financial Reports Were a "Joke"
09/08/08: Are Bidz.com's Stock Buy Backs a Wise Move? 07/28/08: What is Mark Mitchell Hiding about Himself, Deep Capture, and Overstock.com? 07/24/08: Are Overstock.com's Stock Buybacks "Destroying Shareholder Value"? 04/11/08: Fraud Discovery Institute Lists "Top 10 Red Flags for Fraud at Herbalife"
03/19/08: To BIDZ.com CFO Lawrence Kong: Is BIDZ reporting inventory in compliance with GAAP? 03/14/08: Is BIDZ.com Reporting Inventory in Compliance with GAAP? 02/20/08: Did Overstock.com's recent press release about Gradient violate rule 10b-5? 01/17/08: Are certain former Overstock.com directors jumping ship on Patrick Byrne? 01/07/08: Did former Overstock.com President, Chief Operating Officer, and Director Jason C. Lindsey backdate his resignation? 01/02/08: Why did Overstock.com President and COO Jason C. Lindsey really resign? 10/24/07: Is New York State Using a "Trust, Don't Verify" Approach Regarding Convicted Felon CPAs? 08/07/07: Does Overstock.com's Audit Committee have its head in the sand regarding Patrick Byrne? 07/30/07: Utah Companies that are engaged in Fraud Beware! 07/23/07: Did Patrick Byrne, CEO of Overstock.com, Deliver a Trojan Horse to the Securities and Exchange Commission? 06/18/07: Who is Judd Bagley trying to fool about the use of anti-Semitism to attack critics of his boss, Overstock.com CEO Patrick Byrne? 05/25/07: Why are people distancing themselves from Overstock.com CEO Patrick Byrne? 05/03/07: Is Patrick Byrne, Overstock.com CEO, making false, misleading, and/or deceptive statements about the company’s financial issues? 02/20/07: Investor Village Et al Limits Sam E. Antar from Asking Questions on Overstock.com - Shame on Them! 10/26/06: The Private Securities Litigation Reform Act of 1995: The Unintended Consequence of "Pay to Play"
10/15/06: Who Should Internal Auditors Report To?